Published: Nov. 25, 2018 at 08:25 p.m. Published: Nov. 11, 2018 at 05:02 p.m. 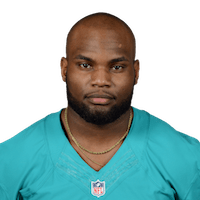 Published: Aug. 10, 2017 at 08:35 p.m.
Miami Dolphins quarterback Brandon Doughty connects with wide receiver Leonte Carroo for a 33-yard touchdown. Published: Nov. 27, 2016 at 03:38 p.m.